…would see an ISP provide one education notice, three warning notices and one discovery notice to customers alleged to have infringed on copyright by the copyright holder, and, if a customer continued to infringe after this, the ISPs would tell the rights holder, which may then decide to apply for a subpoena to get access to the customer’s details for legal action. Given that the application of knowledge is the engine of economic growth, one must intuitively consider copyright and patent laws as a significant burden on growth (China?). Moves to curb piracy, as many economists are keen to point out, generally reduce consumer welfare, and in many cases reduce the profits of content owners who benefit from platform effects. A key misapplied economic in the piracy debate is that greater incentives ‘bring about’ greater supply. That somehow, without a massive payoff, people would stop inventing and creating. Imagine, people following their passions, even in something as obscure as blogging about economics, for their own rewards, rather than monetary payment. History shows that creative contributions are independent of copyright and even patent protection. Or, as The Economist magazine put it recently, “copyright theft robs artists and businesses of their livelihoods”. Given that regulations create markets, and market actors play by the rules of the game, this point is partly true. But is begs the question of whether markets provide better outcomes for both producers and consumers with or without copyright laws (or the evasion of the laws). Consider the music industry. Recent research suggests that music piracy can be beneficial to the music industry as a whole, but not those who are already superstars. The effect of this is that piracy increases the diversity of music in the short run, and increases the supply of superstars in the longer run. In this sense, piracy is efficient, as it corrects a market imperfection. This raises the possibility that opposition to file-sharing is strongest amongst those performerswhose success depends upon their fame more than their ability. In software markets the ‘victims’ of piracy gain substantial benefits through platform effects (the result of strangely named two-sided markets). The battle between mobile operating systems is demonstrating how platform effects work. If Apples iOS is a platform for selling apps and music through online stores, Apple should be happy with piracy of its operating system, because the more ubiquitous their system, the more valuable their platform dependent inline retailing. Microsoft, especially with its Office suite, shows that being ubiquitous means a cornering the market so that competitors cannot crack it. Everyone insists on perfect compatibility with Office, because it is so common. And it is partly so common because of the degree of piracy, rather than of sales. Without piracy, these effects are greatly diminished. Microsoft has even suggested that if you are going to pirate software, make sure it is theirs. For some time, big software companies have tried to make the argument that a copy of pirated software is equivalent to a lost sale This is pretty ridiculous for a couple reasons. For one thing, there’s no reason to think that a given user of pirated software would have actually purchased a legitimate copy. Furthermore, the argument ignores the fact that companies actually benefit in some ways from piracy, because a user of pirated software is likely to purchase software from the same maker at some point down the road. This latter point is something that even Bill Gates has admitted, even while Microsoft continues to talk tough about cracking down on piracy. Now the company is stating more clearly that it knows there are some benefits to piracy. 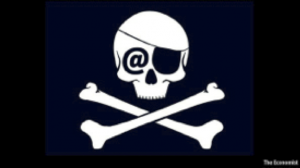 Jeff Raikes, head of the company’s business group, said at a recent investor conference that while the company is against piracy, if you are going to pirate software, it hopes you pirate Microsoft software. He cited the above reasoning, noting that users of pirated Microsoft software are likely to purchase from the company later on. He said the company wants to push for legal licensing, but doesn’t want to push so hard so as to destroy a valuable part of its user base. The company recently got a stark reminder of this lesson when a school in Russia said it wouldswitch to Linux to avoid future hassles with the pirate police. Of course, this moderate stance seems at odds with the company’s recent hyper-aggressive anti-piracy push, which resulted in many mistaken piracy accusations. Either way, Raikes’ comments completely destroy the line about pirated software being equivalent to lost sales; if it actually were, Raikes would be telling people to pirate the software of Microsoft’s competitors. Google is probably the best example of a platform business. Their Chief Economist Hal Varian has been known to comment that whatever new software Google produces, if it increases the attraction of the Internet, then it is good for Google. Content piracy has improved our lives, with some very minor costs to a small group of content owners whose lobbying efforts have already results in having the rules changed in their favour (thank Walt Disney). Whether this trend persists in the light of rapidly evolving content distribution methods I am not sure.